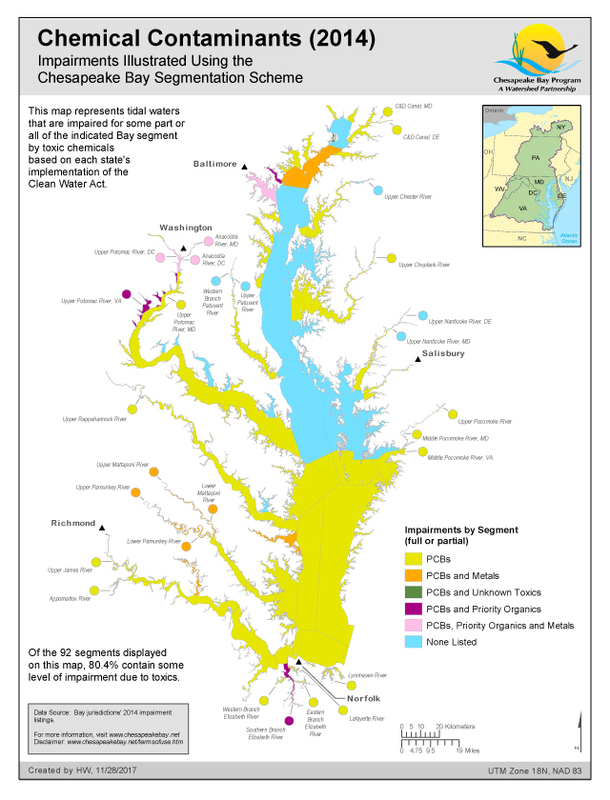 Tidal waters that are impaired for part or all of the indicated Bay segment by toxic chemicals based on each state's implementation of the Clean Water Act. 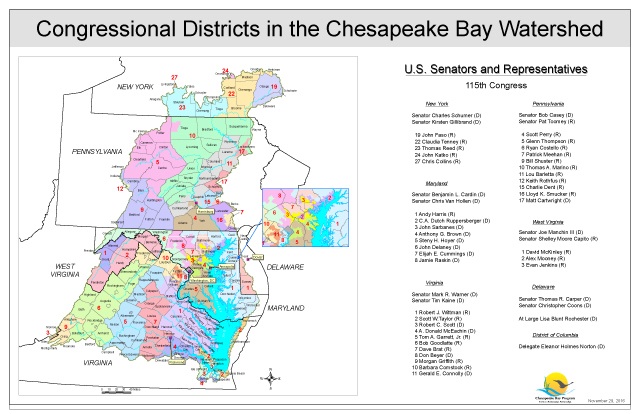 This map shows the complete or partial Congressional Districts that make up the area of the Chesapeake Bay basin. The current senators and congressional members of the 115th Congress who have districts within the borders of the basin are listed by state. 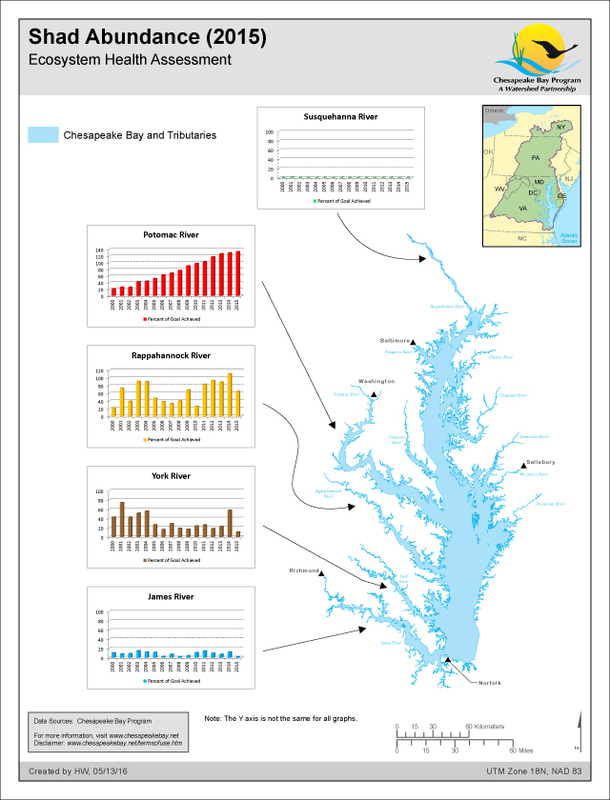 American shad were once the most abundant and economically important species in the Chesapeake Bay. Shad are anadromous fish and spend most of their lives in the ocean, returning to freshwater rivers to spawn after they reach maturity. 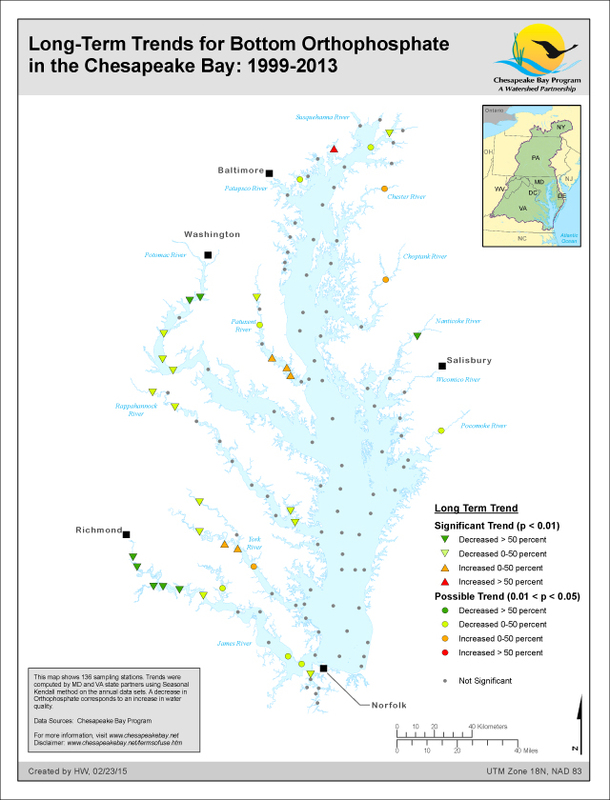 Data for the York, Potomac, Rappahannock and lower James Rivers were provided by the Virginia Institute of Marine Science via an ongoing Catch per Unit Effort (CPUE) study involving American Shad gill-netting. 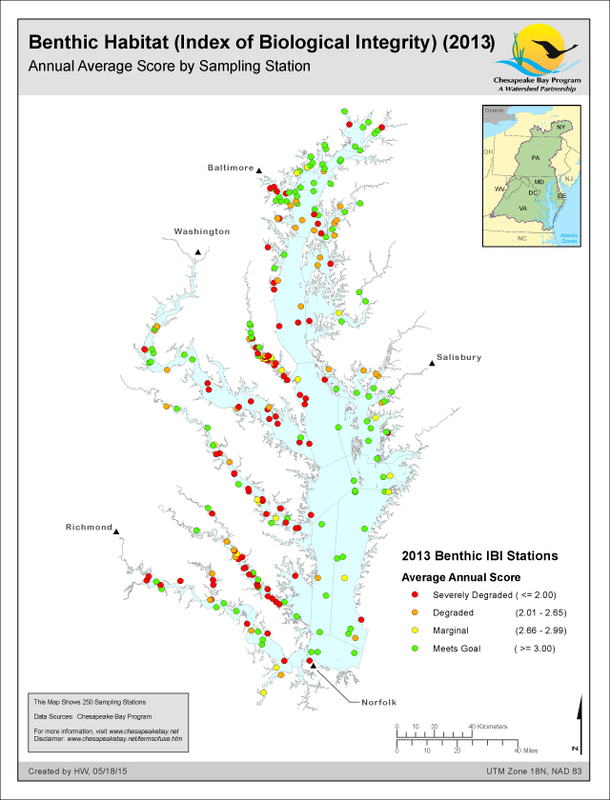 Data for the Susquehanna and upper James Rivers represent published fishway passage values for Conowingo and Boshers Dams, respectively. Long-term trends were computed by state partners using the Seasonal Kendall non-parametric technique for annual data collected from 1999-2013. 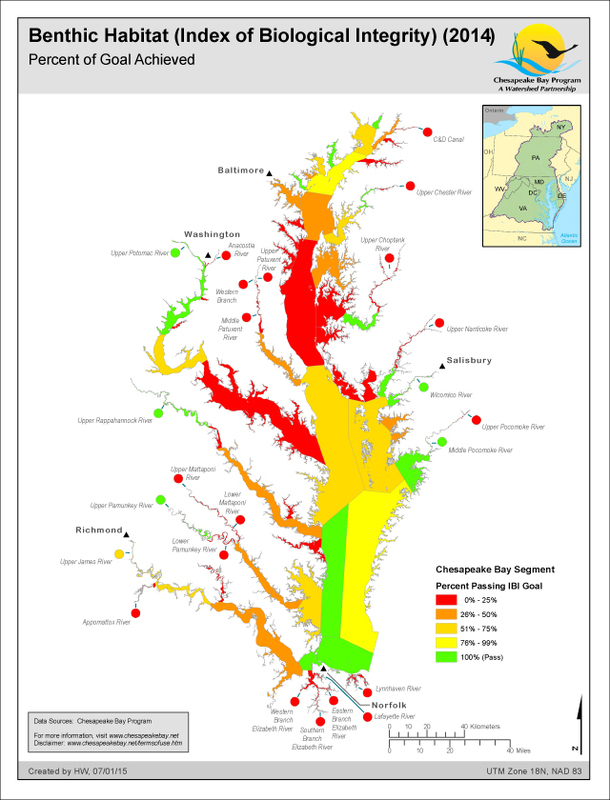 Highly significant trends are indicated with triangles and possible trends are show with colored circles. 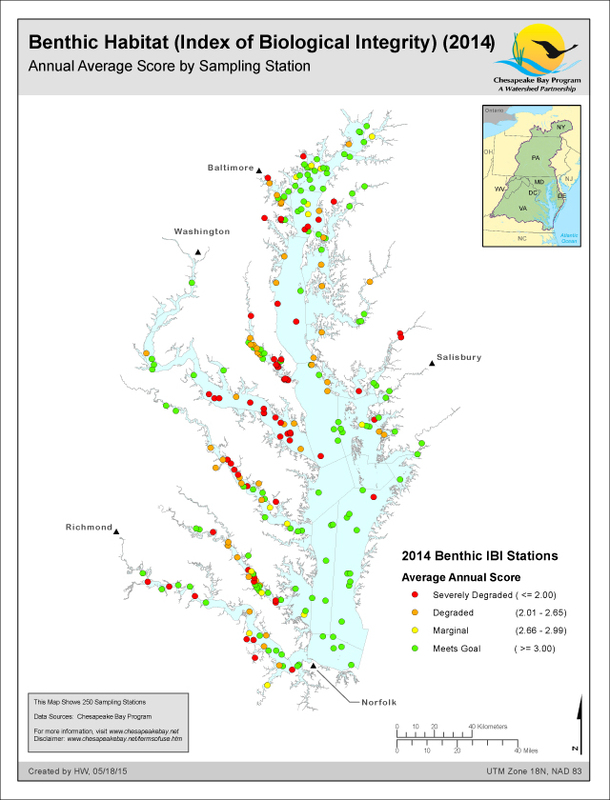 Secchi Disk Depth observations (a measure of water clarity) are increasing/improving significantly at 2 stations, possibly increasing at 2 stations, decreasing/degrading significantly at 28 stations, and possibly decreasing at 14 stations. Long-term trends were computed by state partners using the Seasonal Kendall non-parametric technique for annual data collected from 1999-2013. 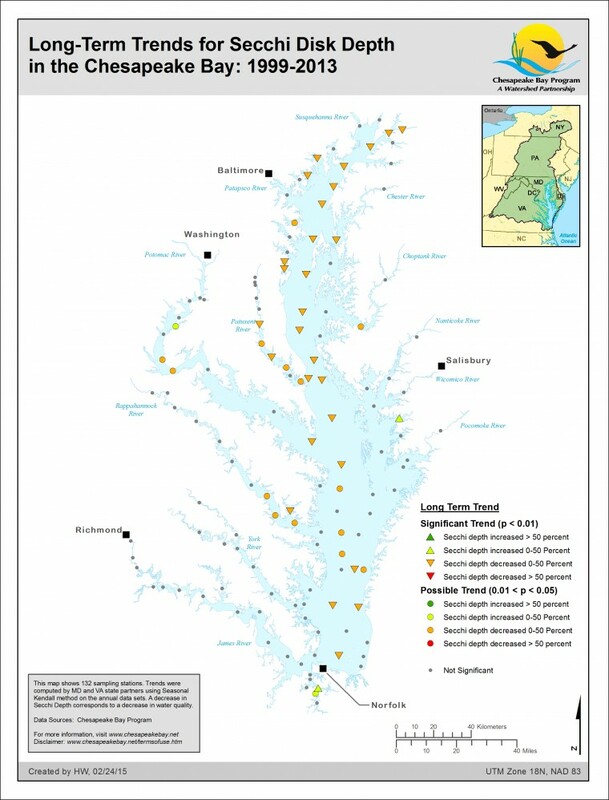 Highly significant trends are indicated with triangles and possible trends are show with colored circles. Bottom Orthophosphate concentrations are decreasing/improving significantly at 21 stations, possibly decreasing at 7 stations, increasing/degrading significantly at 6 stations, and possibly increasing at 3 stations. Long-term trends were computed by state partners using the Seasonal Kendall non-parametric technique for annual data collected from 1999-2013. 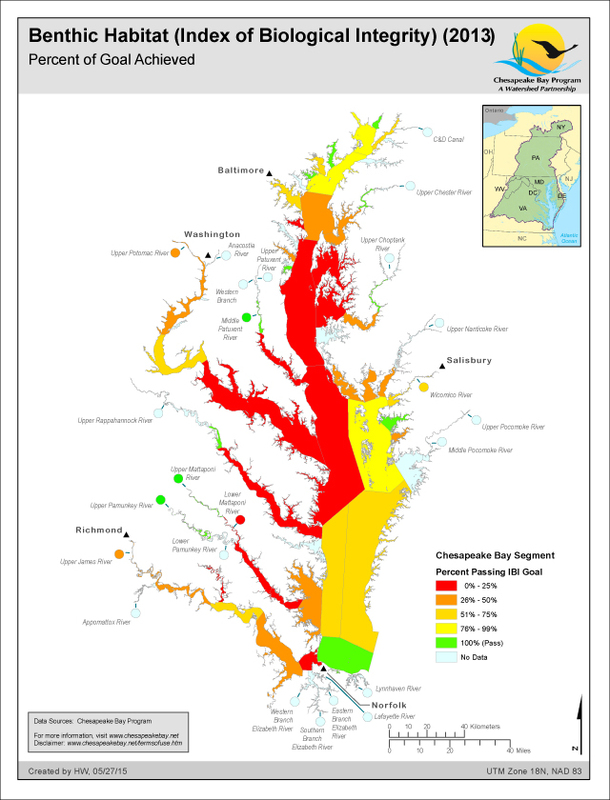 Highly significant trends are indicated with triangles and possible trends are show with colored circles. Bottom total phosphorus concentrations are decreasing/improving significantly at 27 stations, possibly decreasing at 13 stations, increasing/degrading significantly at 12 stations, and possibly increasing at 10 stations.